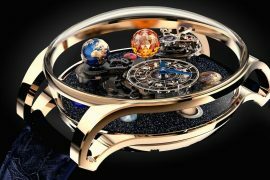 Luxury watchmakers slowly but surely introducing their limited edition watches to celebrate the Chinese Zodiac New Year, which begins on January 28, 2017. 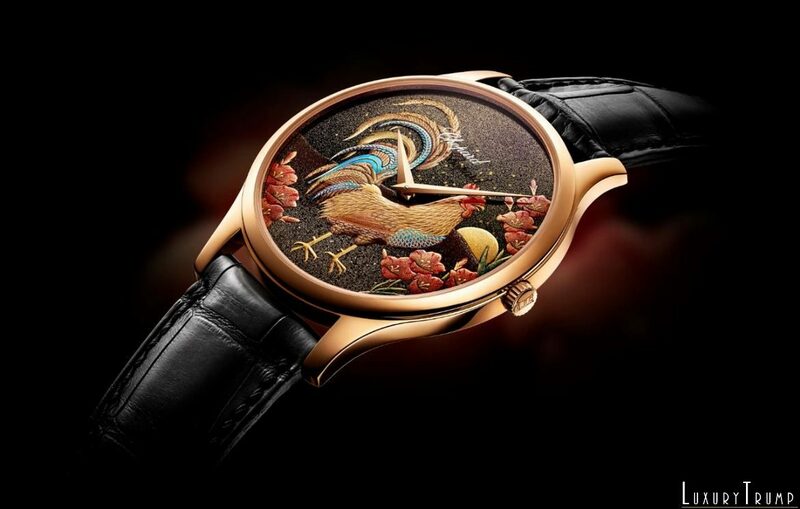 Chopard joins the gold rush with the introduction of LUC XP Urushi – Year of the Rooster, an exceptional timepiece with a lacquered dial made using ancient Japanese technique of Urushi. 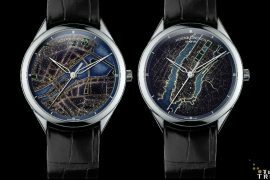 The colorful dial work is handcrafted in Japan by master lacquer artists of the Yamada Heiando firm, an official purveyor to the Japanese imperial household. 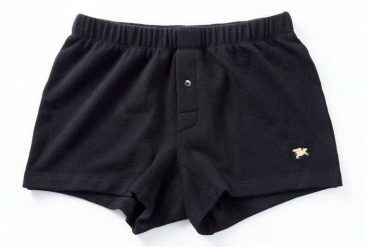 Rooster is the tenth zodiac sign in Chinese culture. Both the rooster and people born in a year of the rooster are considered among other things – hard working, observant, resourceful, courageous and talented. They are also blessed abundantly with self-confident, perhaps because of that talkative. The all-important luckiest things for roosters include – gold, brown and yellow colors: 5, 7 and 8 numbers and gladiola and cockscomb flowers. So, anything luxury brands design and create to celebrate Year of the Rooster going to contain these colors, numbers, and flowers. Use of traditional Japanese lacquer to create a timepiece to celebrate Chinese New Year seems a bit of a mismatch, but Chopard has used it in previous years too. 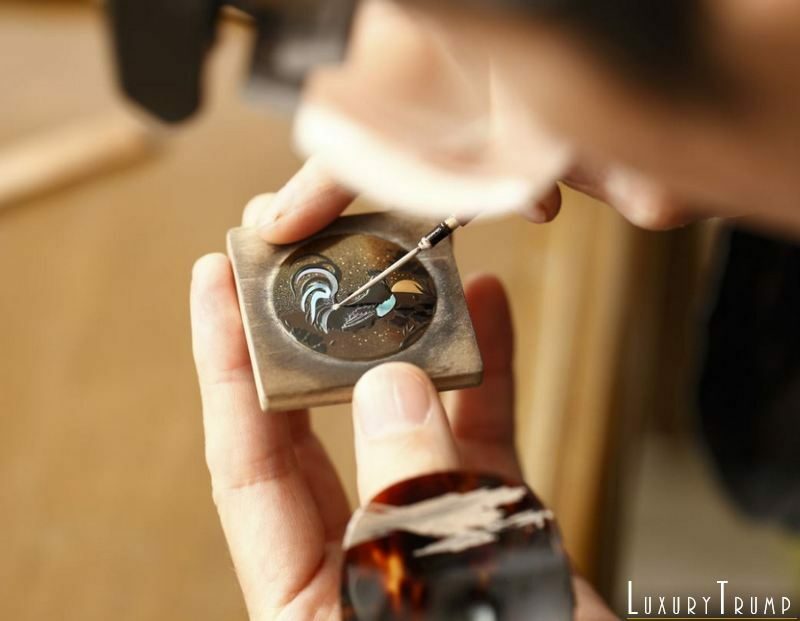 The lacquer is applied in a number of extremely thin layers on the dial. Colorful mother-of-pearl dial has a gold-dusted mainly brown background surrounded by setting sun and flowers. Magnificent rooster is featured in head held high pose with its blue and gold feathers puffed out. Obviously, a watch should have time indicators, in this case, they are gilded Dauphine-type hours and minutes hands. 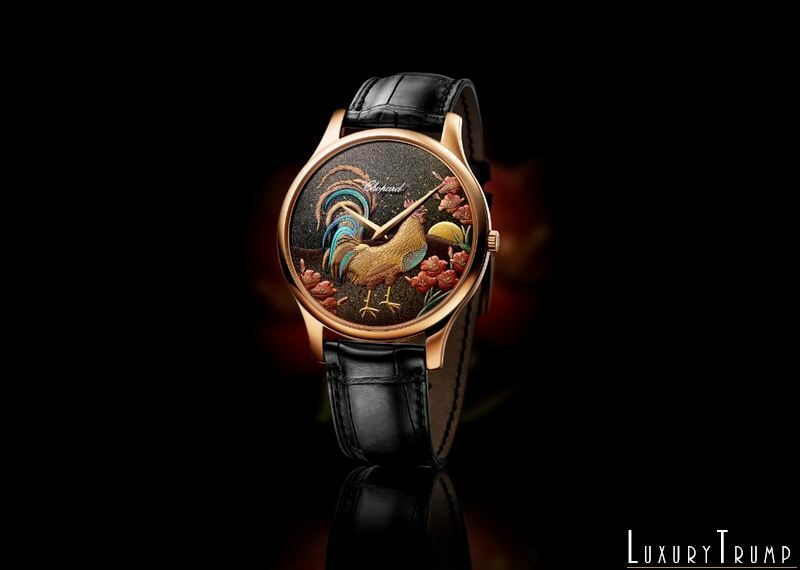 The LUC XP Urushi – Year of the Rooster is powered by Chopard’s LUC 96.17-L self-winding movement with a 22 karat gold micro-rotor. 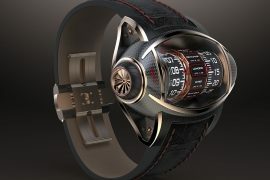 Movement boasts a 65-hour power reserve and 4Hz of operating frequency. 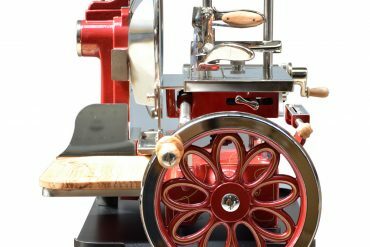 The 22 karat oscillating weight feature engraved and guilloché decorations. Other adornments are bridges with Côtes de Genève, circular-grained mainplate and beveled chamfers. 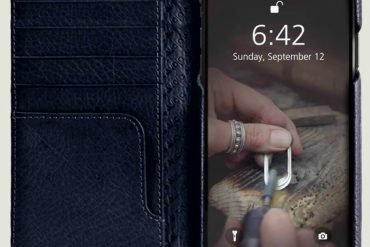 Urushi Rooster’s 18 karat gold case is water resistant up to 30 meters. 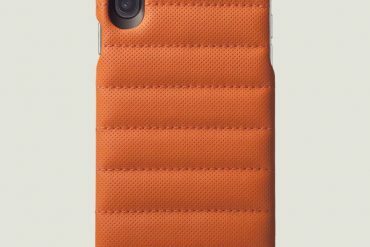 The front of the case is covered in Glareproof sapphire crystal. 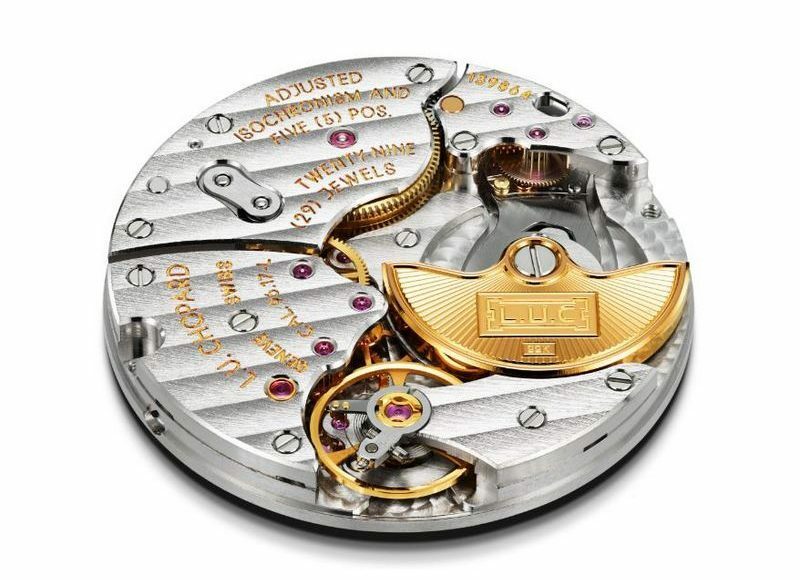 If and when you have time, sit back and observe the movement’s workings through the transparent case back. 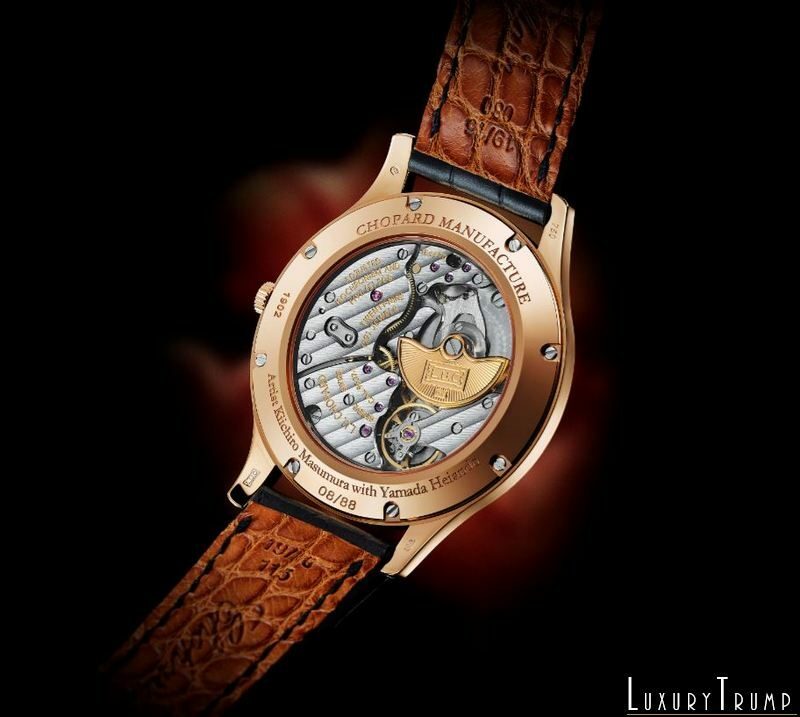 Completing the timepiece is a beautiful hand-stitched black alligator leather strap with an 18 karat rose gold pin buckle. Available in a numbered 88 piece limited series. 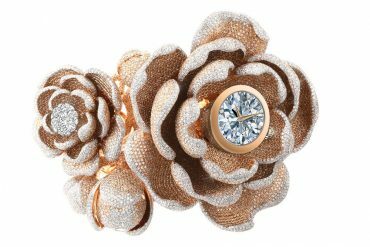 For pricing contact Chopard.